Just a small village less than 100 years ago, Eindhoven has enjoyed a rapid expansion and gained considerable status, particularly during the latter part of the 20th century. Today, Eindhoven is an important town of industry and is also known for its football team, with local matches always being extremely popular and attracting large crowds. A number of nearby towns and villages lie close to Eindhoven and include Nederwetten and Breugel to the north, Helmond to the east, and Veldhoven to the west. 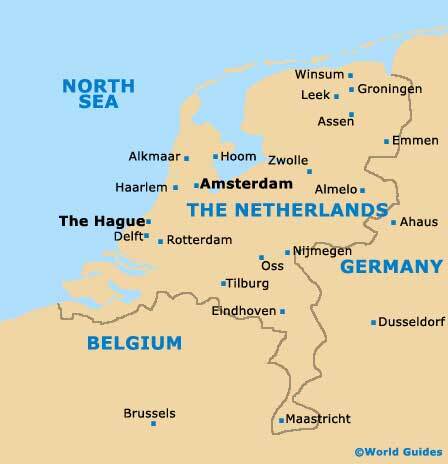 Also nearby, Valkenswaar and Cranendonck are located to the south, close to the N69 road. The Eindhoven tourist information lies next to the train station, on the Stationsplein, and offers a range of leaflets about local attractions, such as the Stedelijik Van Abbemuseum art gallery. 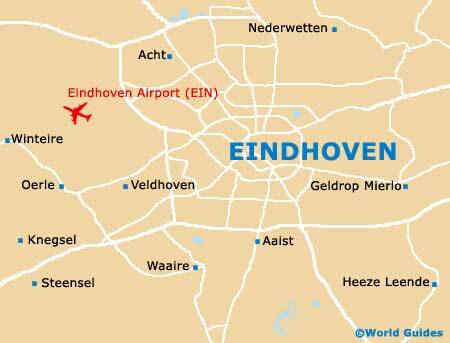 Located just a short distance to the west, Eindhoven Airport (EIN) is especially popular with frequent business travellers flying into the area and features a range of ground transport. The city's Het Stratumseind is known for its large number of nightclubs and restaurants, offering one of the highest concentrations of its kind in the whole of the Netherlands. Eindhoven's varied nightlife appeals to all ages, with over 30 venues standing side-by-side in one area alone.